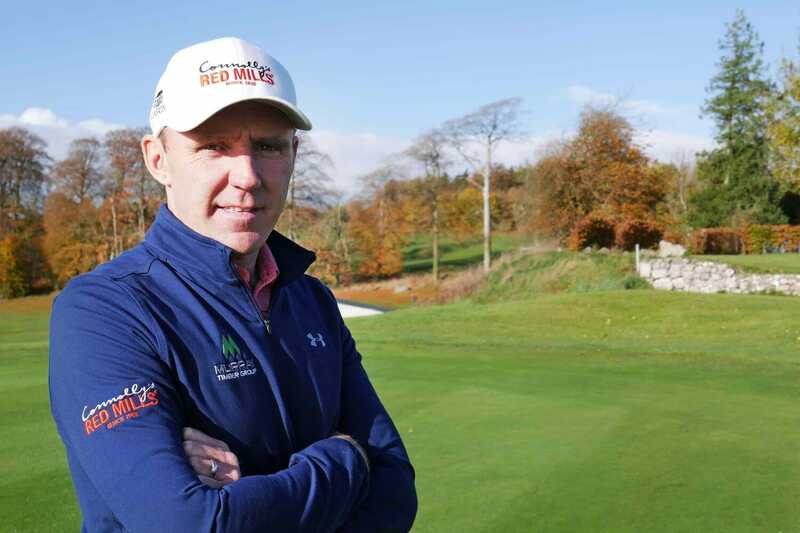 Reflecting on the years spent chasing his dream, Colm Moriarty discusses his transition into the professional ranks, lingering regrets and life after golf. 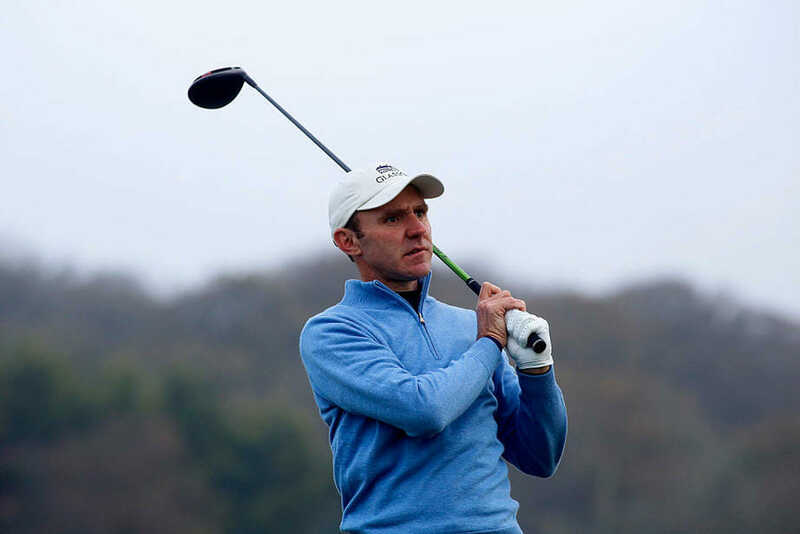 t’s now seven years since Glasson’s Colm Moriarty took a step back from life as a full-time Challenge Tour player. In his own words, Moriarty had become “institutionalised” by the grind of the second-tier circuit, stuck in limbo trying to make that final step up to the Main Tour. The difficulty of that last leap becomes clear when sifting through Moriarty’s most impressive resume. 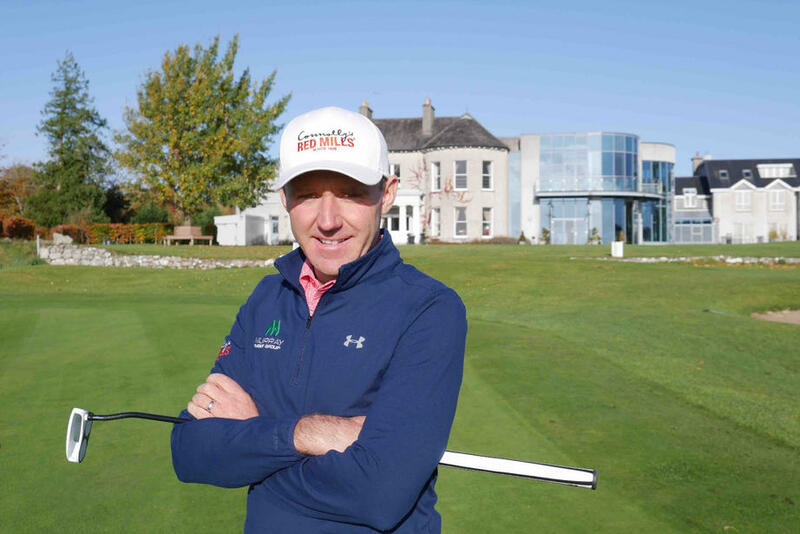 A glittering amateur career saw him lift numerous match play titles; a South of Ireland Championship, multiple Mullingar Scratch Cups and Walker Cup honours among the highlights before a decorated professional career included over 30 appearances on the European Tour and a victory on the Challenge Tour in Wales in 2007. In 2010, he played the opening two rounds of The Open in St Andrews alongside eventual winner Louis Oosthuizen – Moriarty went on to finish tied 37th. There was never a question of the Glasson man’s talent or ability, but the fact he fell short of his overriding ambition proves just how tough professional golf can be. In 2012, after over 20 years playing top-flight golf, the time was right for a new challenge for the then 32-year-old who had achieved so much in the game. “I was out there playing Challenge Tour for eight or nine years,” he recalled. “I think I played about 40 events on the main tour but I never really got a full card where I could plan a season. I held my Challenge Tour card every year, won on the Challenge Tour, but it does come to a stage where you say, where am I going; how long more can I keep chasing it, flying around the world 35 weeks a year? Weighing up his options at home, Moriarty knew he wanted to stay involved in golf. In truth, it was all he ever knew and after a few years of soul searching he decided the Irish PGA was the next route for him to take. Despite knowing the game inside out, the transition from the open fairways to the closed walls of the classroom certainly presented a challenge. Knowing the pit-falls of life after golf should you not prepare for it, you’d wonder why fledgling pros don’t take the PGA route before flinging themselves into the playing side of the game, but for Moriarty it’s simple. Yet when he goes to bed at night, is there ever a hint of regret for a man who chased that dream to have not hunted it down that bit more? And why should he have regrets? Now a fully qualified PGA professional who finished 4th on the Region’s Order of Merit in his season this year, Moriarty won more events than anybody on the circuit this term and played in 34 different Pro-Ams. However, in terms of brass taxes, that all adds up to less than €30,000 before expenses. A tough pill to swallow? “It’s an adjustment but I’m focused on other areas now outside the playing elements. I want to expand the corporate side of what I can offer. Still, it’s only natural after such a long career that you can look back on certain things with a tinge of regret. For Moriarty, it was how he handled the transition from amateur to professional, though inexperience played its part. However, Moriarty certainly isn’t lost anymore and now a teacher of the game based out of the magnificent new practice facilities at Glasson, he houses a wealth of experience that he’s ready to pass on to the next generation of aspiring professionals. “Sometimes people can go for lessons and their enjoyment of the game can actually diminish. I often ask students, ‘do you want to have a swing that looks really good or do you want to be able to go out, enjoy your golf and shoot a good score?’”. Having sat down with Colm, it’s probably due to his vast experience that he can now simplify our most complex game. One or two shots less here or there could have made all the difference to his own playing ambitions, his resume reads well regardless. Having refused to turn his back on the game he loves, he enters this new chapter of his career with a mine of information at his disposal, and no doubt those who visit him will only benefit from his knowledge. We wish him every success.